Today I don’t feel like a conquistador. I don’t feel like an Incan warrior. I feel like a six hundred fifty pound chain smoker who’s only ever eaten fried cheese and whipped cream and has been forced to climb a flight of stairs. I’m winded. I’m out of breath. And I’m freezing. 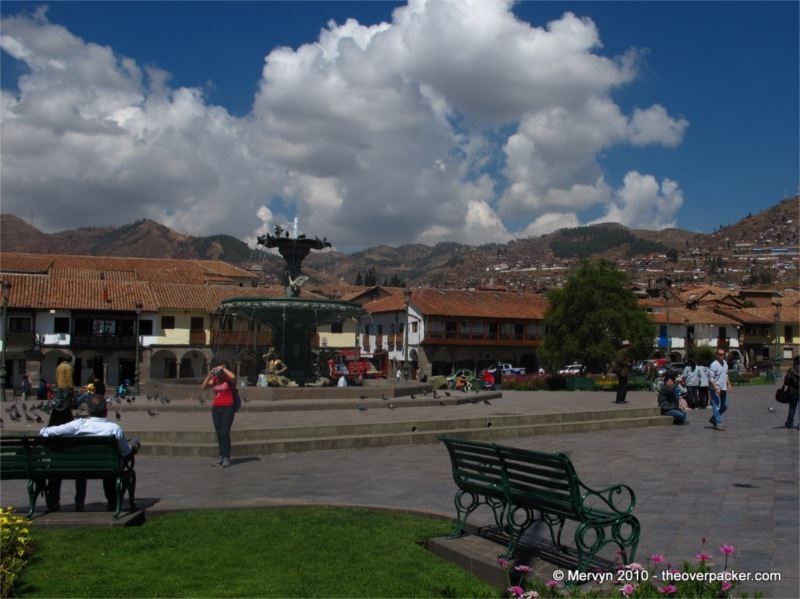 Welcome to Cuzco. Elevation, 3,500 meters higher than the sea level home of my ancestors, and about 30 degrees colder. Putting me here is like putting Jamaicans on a bobsled team—at first glance it just doesn’t make sense. 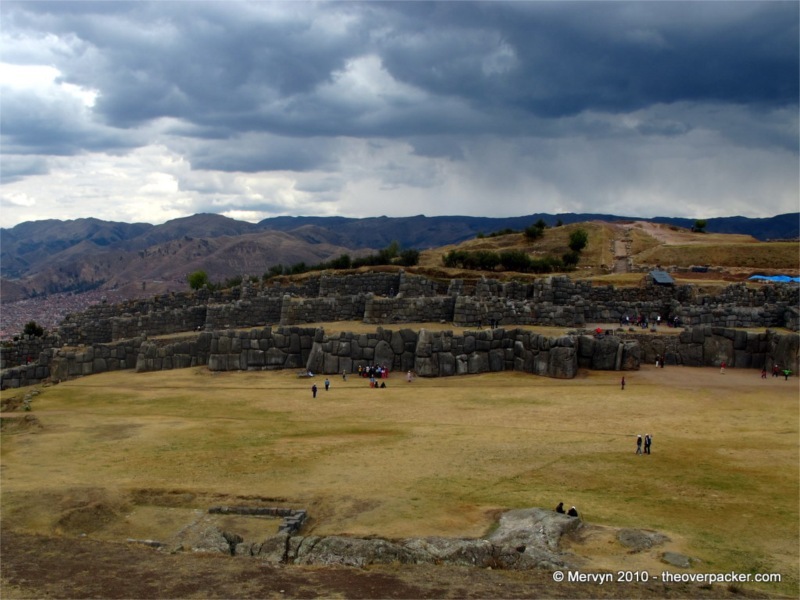 Today I visit the remains of a hillside fort called Saqsaywaman (pronounced: suk-sai-wuh-muhn). Altitude sickness or not, I’m excited because this is the site of one of the great clashes between the Spanish and the Incas, way back before Spanish victory was a sure thing. To understand why this place, you have to go back to the 1530s. 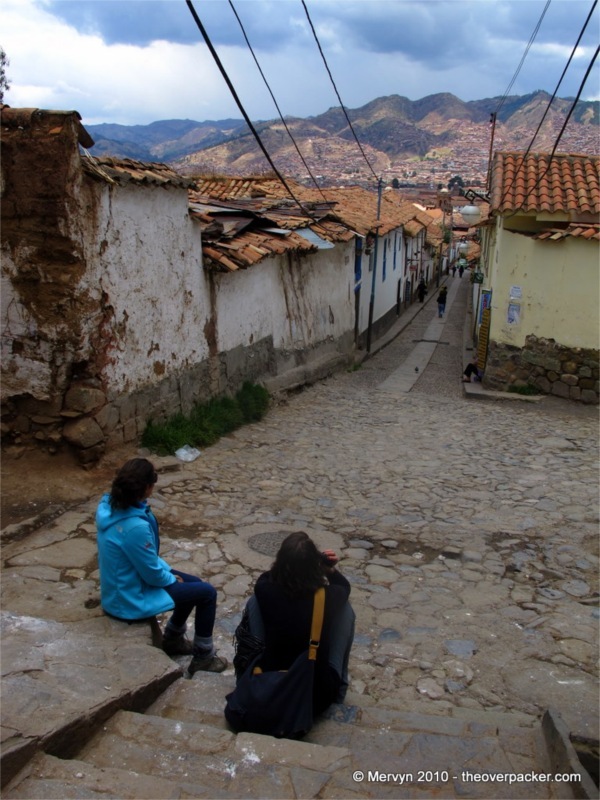 Back then, Manco Inca oversaw an empire of 10 million inhabitants from his capital city of Cuzco. Unfortunately for the 20-year-old god-king, he’d ascended to the throne via an alliance with Francisco Pizzaro, the same Spaniard responsible for killing at least two of his brothers, both of whom had briefly held the Incan throne. Manco Inca believed, like his brothers before him, that if he could satisfy the Spaniards’ gold lust, they would leave him the Incan kingdom. It wasn’t to be. 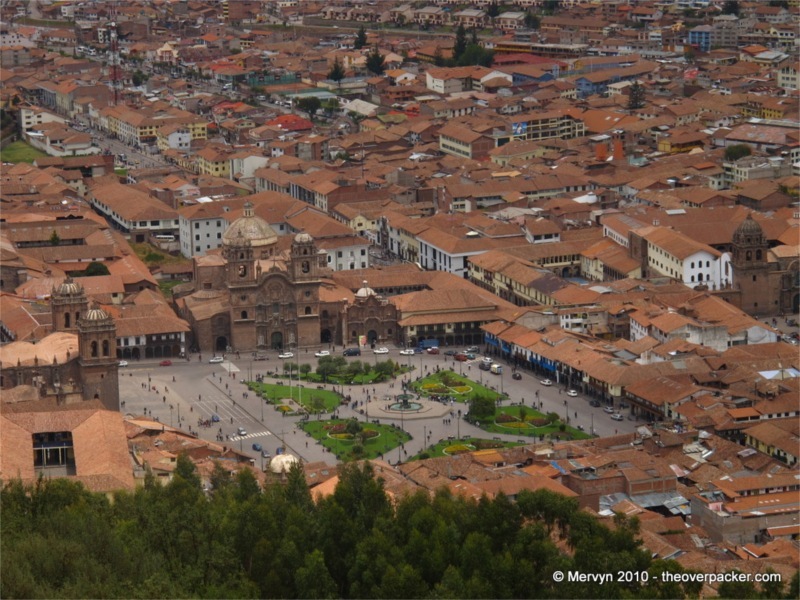 Francisco Pizarro left Cuzco in the hands of two of his brothers and headed to the coast to found the city of Lima. The brothers demanded ever more tribute from Manco Inca, put him in chains, and made him suffer the ultimate humiliation: relinquishing his beautiful first wife/empress/sister to the brothers for their, shall we say, repeated gratification. Manco Inca realized the Spanish were insatiable and decided to play the Spanish like they’d played him—he pretended to be their friend. Making nice with Hernando Pizarro (a late arriver and elder brother to the two left in charge of Cuzco), Manco tricked him into releasing him under the guise of conducting an Incan ritual at another city collecting more gold for the brothers. Once free, Manco escaped. Soon, 100,000 to 200,000 of Manco Inca’s warriors surrounded Cuzco. The 200 Spaniards trapped inside survived the initial assaults only because of their superior weapons and armor, and because of their horses. The 70 cavalry proved just enough to hold off the Incan warriors who had no steel and therefore had to make do with stones, clubs, cloth armor, and some soft bronze and copper. Every time the Incas attacked, the cavalry would drive them back, swooping through the streets and surrounding plains, cutting down hundreds of warriors at a time. After two days of fierce fighting, the Spanish realized that they would eventually lose via attrition. Reinforcements from the coast were months away. 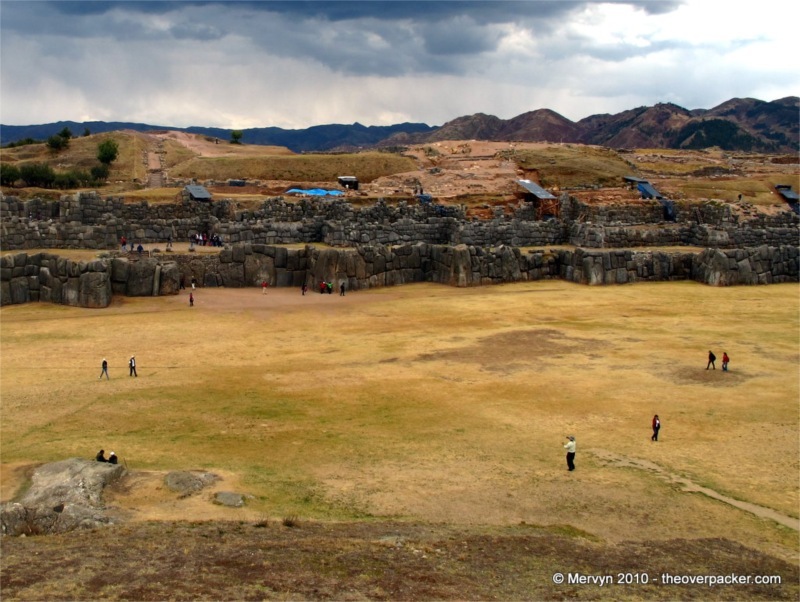 In a desperate move, the Pizarro brothers realized that they had to leave their defenses and attack and defeat Saqsaywaman—a fort located on a hill overlooking the city. It was the Incan command center and the only place where the Incas held a tactical advantage—because of the steep terrain, the Inca warriors could charge down the hill without fear of the Spanish cavalry. In contrast, the rest of the city was surrounded by flat plains, which allowed the Spanish horsemen to swoop in and out of combat with ease. 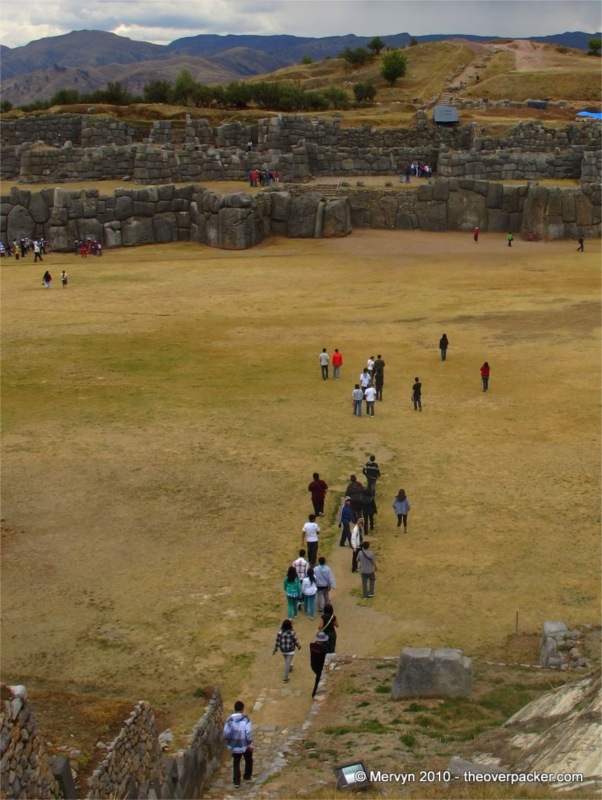 Saqsaywaman (meaning: the fortress of the satisfied falcon) is protected on three sides by steep hills. The portion facing away from the city, however, fronts a grassy field. To that direction, the Incas had constructed a series of giant, terraced walls to protect the fort. Standing next to these walls, it’s hard not to appreciate the craftsmanship. There are no bricks; there is no mortar. 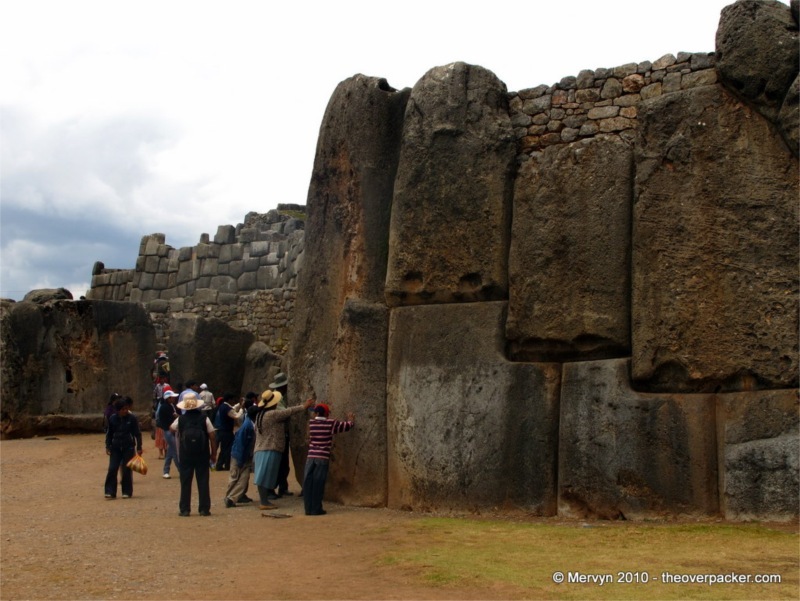 What holds the three 1,000 foot long, 15 foot high walls together is the weight of the giant, fitted stones. The largest is estimated to weigh 360 tons. The walls were constructed so that warriors could stand on one terrace and launch rocks, arrows, and darts at attackers below. If the enemy managed to climb one terrace, the defenders could retreat to the next highest level. The fort was huge, large enough to house 5,000 warriors and their food and weapons. After consulting with Pasac, Manco’s cousin and rival, the Spanish decided to fight their way through the Inca lines and attack Saqsaywaman from the grassy plain. When they reached the plain, though, the 50 Spanish cavalry and their retinue of 100 black slaves and native allies were repeatedly repelled and forced to regroup on a hill opposite the three walls. The Incas managed to kill one of the Pizarros and counterattacked, pushing the fight to the rocky hill opposite the fort. 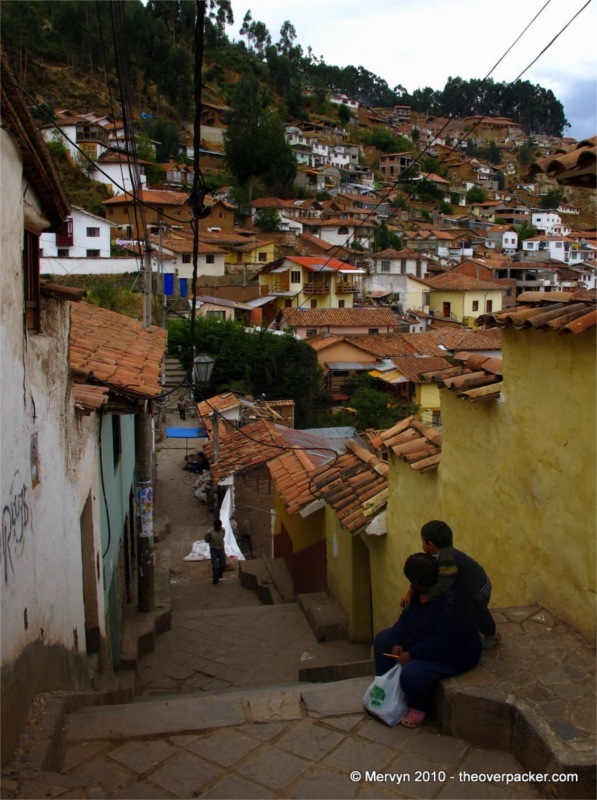 Thousands of Inca warriors clambered up the hill, engaging the Spanish with darts, arrows, rocks, and clubs. The Spanish only just survived. That night, the Spanish decided to breach the walls using hastily assembled ladders. They knew the Incas—worshipers of the sun—hated fighting at night, especially the night of a new moon (as luck would have it, scheduled to occur that night). 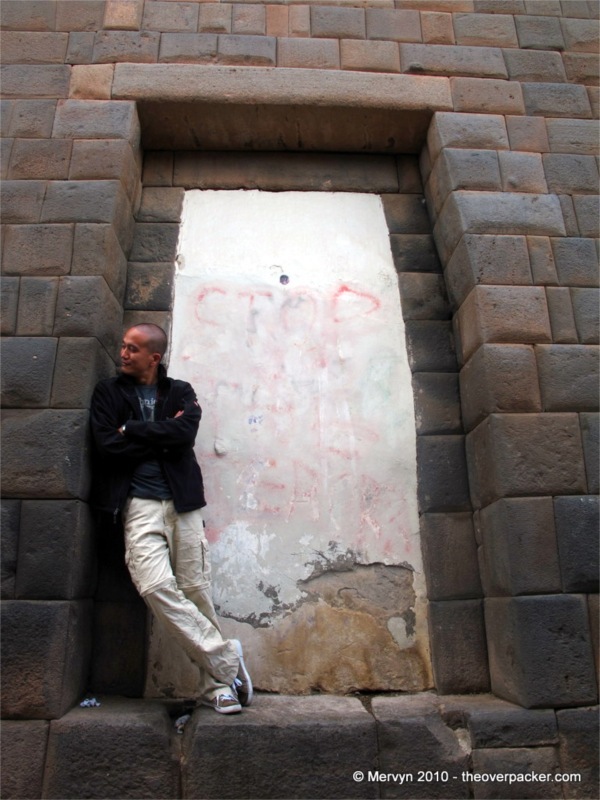 The Spanish set their ladders on the darkest parts of the wall and took the Incan sentries by surprise. Dragging their ladders up behind them, they quickly seized the second terrace. On the third terrace, the Incas made their final stand. Rocks and arrows rained down on the Spanish armor and shields. By morning, the Spanish had the three walls, but had not overcome most of the buildings and the three towers on the hilltop. The Inca high priest and his general realized they would run out of food and water and ordered their warriors to breach the Spanish line so they could escape. The remaining warriors fell back to three 40 to 50 foot tall towers, but were eventually overcome. According to a Spanish attacker, the Spanish killed 3,000 warriors in battle and lost only five Christians (natives and slaves didn’t count). Looking back, the 600:1 Spanish-to-Incan kill-to-death ratio makes it seem like the Spanish had nothing to worry about. At the time, though, the Spanish couldn’t have known the outcome. 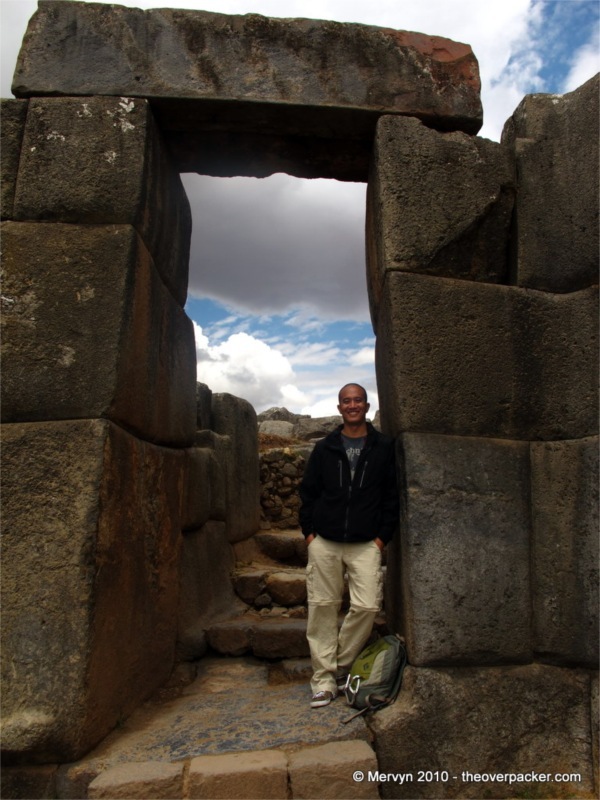 Saqsaywaman is so close to the city that no doubt the small Spanish force would have heard their allies battling in the streets below–horses charging through the city streets, Incan warriors battle cries, and perhaps even the crackle of fire as the thatched roofs of the city burned. It must have felt like they were living the end of the world. Standing on the hill opposite the fort, it’s remarkable how close everything is. It’s easy to imagine the looks on the faces of Inca defenders as they lifted their tunics to bare their legs and jeer at the small Spanish force. As I climbed up the walls through what were then barricaded stairways, I could hear rocks reverberating off steel helmets, wooden arrows glancing off breast plates, and the sounds of Spanish allies crying out as they fell for lack of armor. Today, the only thing at the top of the hill are ankle high ruins–the towers are gone now, torn down by Spanish conquerors for materials to build their homes. I still imagine, though, the valiant Inca commander described by the Spanish, striding along the top of one of the five-story towers, fighting off Spaniards with a captured steel sword and shield. He takes two arrows to the chest, but keeps on fighting. Only when the Spanish assault his tower simultaneously from three sides does he realize that all is lost. In anguish, he stuffs handfuls of dirt into his mouth, cries out, wraps his face in his mantle and hurls himself to the ground below, thwarting the Spanish commander’s desire to take this “lion” warrior alive. Young Manco Inca came so close to driving the Spanish out of Cuzco. You gotta wonder what would have happened if he had. 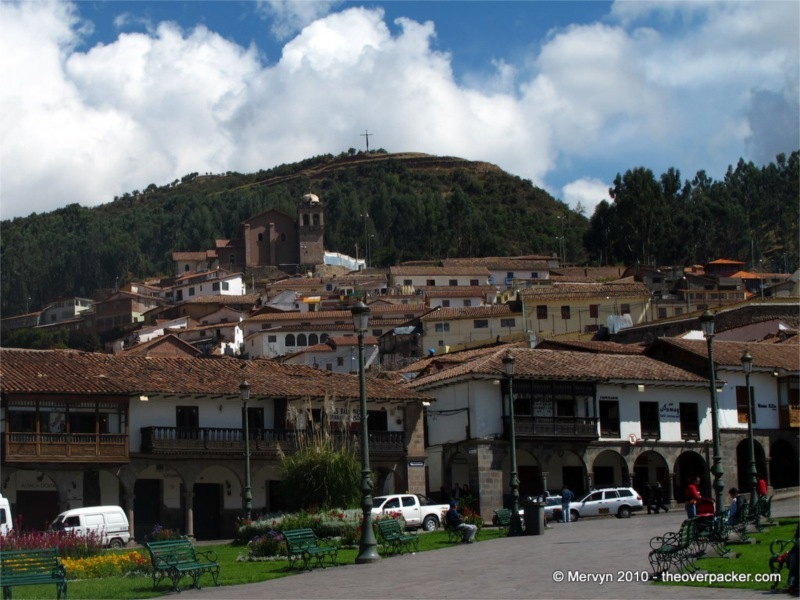 There might still be a sovereign Inca nation. Or perhaps it would have only postponed the inevitable. While the Incas did win subsequent battles, they lost the war. They lost Cuzco. Their siege of Lima failed. Years of guerilla warfare proved futile–the Spanish eventually hunted down and looted the makeshift jungle capital city of Vilacabamba. 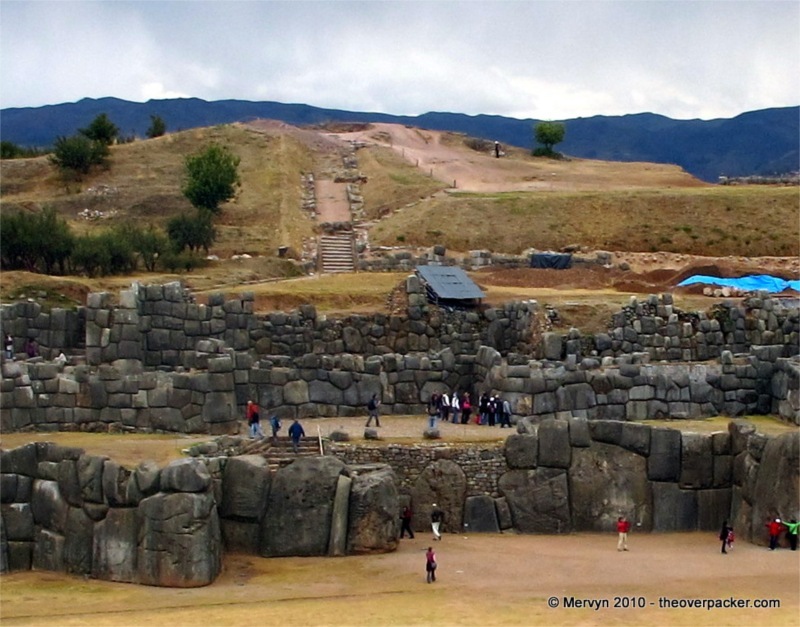 In the end, all that’s left of the largest native empire in the Americas are ruins like Saqsaywaman. No more Inca kings. No more warrior high priests. Just remnants of a grand fort crawling with wheezing Japanese, Brazilian, and American tourists. If the strangeness of it all can’t get you a little excited, nothing will. 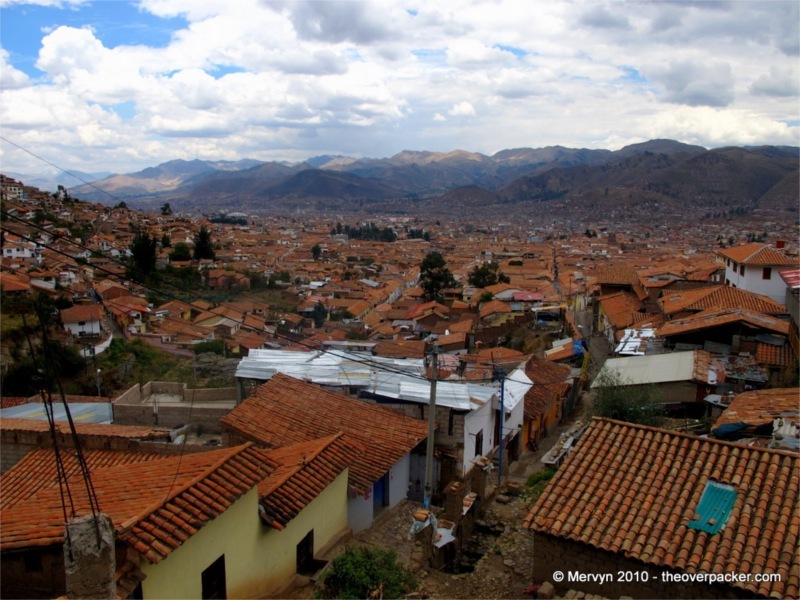 GALLERY: Click through to today’s gallery to view bonus pictures including Mervyn pretending he’s not tired, a view of Cuzco from one of the hillside neighborhoods, and a picture of llamas doing what llamas do. Thank you for disrespecting the llamas’ special moment. They disrespected my special moment first. The largest steam locomotive ever constructed was roughly 600 tons. Only 25 were made because as it turns out, they were too heavy. So a train of normal size would be about 360 tons. Or, to put it another way, one block of the wall you described. I mention this merely to give a illustrative analogy of what the Inca built: a wall made out of stacked trains. Kinda makes you wonder why they never came up with anything more sophisticated than cloth armor. Love the random facts. Makes me wish I’d taken more pictures of the Incan stacked trains. Too bad they couldn’t just have dropped the wall on the Spanish; you know, rock beating steel scissors (of steel).